The Fiji Football Association will need to seriously address allegations against Christophe Gamel if he is to continue to be in charge of our national team. 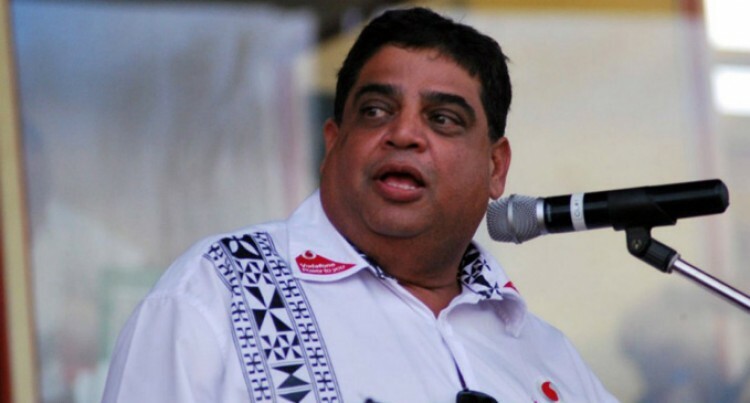 Association president Rajesh Patel needs to take urgent action to investigate and fix the alleged issues surrounding the Frenchman after the recent spate of allegations. Patel was instrumental in the appointment of the former Paris St Germain women’s side assistant coach in 2017. Likewise he must nip the problem in the bud, clear the air first if Gamel is to continue to be in charge. The recent allegations against Gamel by players and officials must be taken seriously. A veteran sports administrator and businessman, Patel must pull all stops to save the sport from ebbing into a new low. Patel needs to institute a thorough investigation and ask Gamel to step aside during it. The revelation by SUNsports that Gamel allegedly slapped, embarrassed and abused players is totally beyond comprehension by one who should be a professional coach. District officials have been told or heard of Gamel’s demeanour, but did nothing about it. Therefore we must applaud the players and parents who spoke out voicing their concerns. Their act of bravery will help the sport in the long run and Patel and Fiji FA should be grateful to the players for bringing this out into the open. No one deserves to be belittled, called out for being who they are because any form of physical and or verbal abuse is simply bullying, an exertion of power on the weak and defenceless. Gamel was brought in to develop the national teams and play by the rules of the game like any other. Doing otherwise is going against the norm. Of course, most coaches are hardworking, well-meaning and passionate about sports. But those who do end up bullying may simply be frustrated or incapable of properly fulfilling the mission statement given to them at the outset. The Fiji FA has enough on its plate in running the affairs of the sport in the country and the least it needs is to go into damage control mode when allegations such as this surface. The opportunity is there for Fiji FA to regroup and do the right thing.